Cults is a new 60's retro pop duo with absolutely nothing on the net aside from a free 3-track EP on their bandcamp and a boatload of blogbuzz. Found these guys on GvB and when googling them it seems that all you can find is yet another review of the most lovable of their 3 tracks thus far, Go Outside. Really great, catchy track! Looking forward to hearing more from this crew. On another, completely seperate, note. Been finding some really interesting tutorials on using Puredata for live VJ setups. Puredata is essentially an opensource version of MaxMSP which is a graphical programming environment for music and multimedia. What was new to me, is that there's acutally a puredata-extended package, GEM, which provides realtime video processing similar to that of the Jitter package for Max/MSP. Below are a few great video's I've found, one with a step by step tutorial of making a video mixer in Pd, and the other is an example of some really cool visual patches in Pd, with a link to a zip file of the actual patch so you can download it and fool around with it yourself. You can download Puredata for free here, but if you plan on doing video, make sure you download Puredata-extended so that you get the GEM package as well. 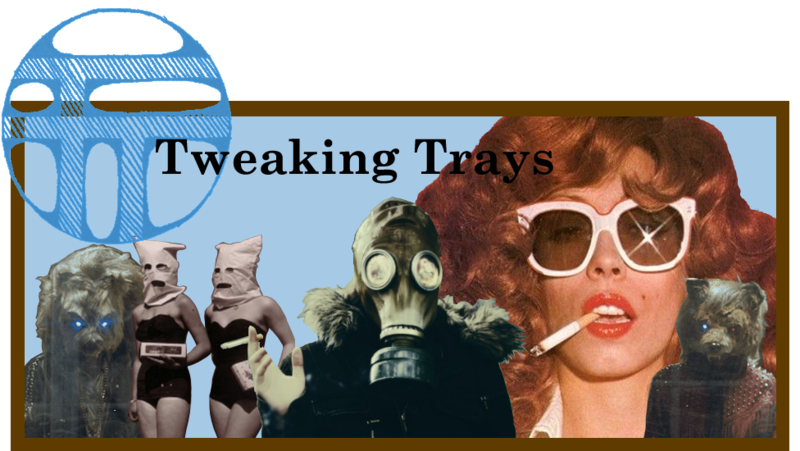 In other news, Mellows recording is fully underway (we'll be sure to keep you posted on that), and we're slowly acquiring a really exciting collection of tracks for the upcoming Tweaking Trays compilation! SUPER EXCITING YO!